Beautifully built, sumptuously comfortable and either powerful or frugal enough for everyone; it's far from the cheapest used saloon on the market but the Mercedes-Benz E-Class is certainly one of the most desirable. The three-pointed star on the grille keeps second-hand values afloat, too. “Everything we know in one car.” That’s how Mercedes-Benz described the W211 E-Class when it hit the showrooms in 2002. And the German firm wasn’t far off the mark either, as it’s well built, comfortable and good to drive. 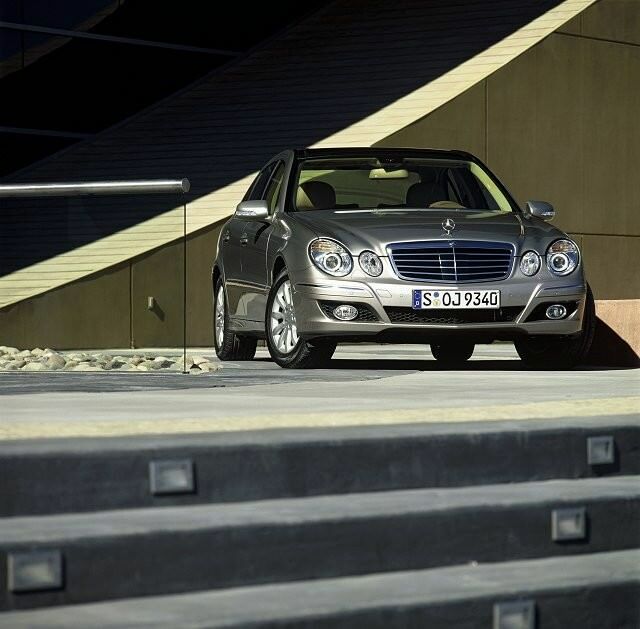 It ought to be impressive, as the 2002 E-Class had almost 50 years of development under its belt. The E’s heritage dates back to the Mercedes W120 Ponton - a beautiful executive sedan first seen in 1953, which paved the way for future mid-sized luxury Mercs. Think E-Class and you'll probably conjure up an image of a plush four-door saloon. For the most part you'd be right, but it's easy to forget the estate, the CLK coupé and the AMG performance models, so there's more than meets the eye. Engines are equally diverse but strong performance is always a given. The smallest 1.8-litre petrol engines, found in the E 200K models, are fitted with superchargers, so they're more than punchy enough. Diesels like the E 200- and E 220 CDI offer the best mix of power and performance, while the V6 oil burners - the E 270 and E 320 CDIs have even more of the latter. The E 500 uses a 5.0- or 5.5-litre V8 (depending on which model year you go for) and promises bags of super smooth power, but it's not as mad as the 6.2-litre V8 of the AMG model. Thankfully, there are fewer trim levels than there are engines and these range from Classic to Elegance to Avantgarde, increasing in equipment levels as they go. The E-Class was facelifted in 2006 so it's worth getting hold of one of these later examples if your budget stretches. Earlier models represent better value but they're not quite as polished and are more prone to rust and other faults. A good, mid-spec Elegance example is always worthwhile as is the E 220 CDI. It's the most modest of the diesels in terms of power output but it's hardly slow and offers the best economy and lowest insurance premiums of the range.